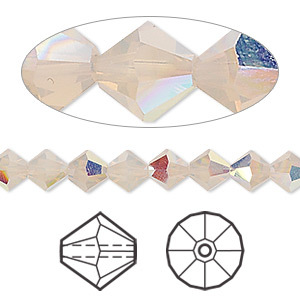 Bead, Swarovski® crystals, Crystal Passions®, sand opal AB, 6mm faceted bicone (5301). Sold per pkg of 24. Bead, Swarovski® crystals, mocca AB, 6mm faceted bicone (5301). Sold per pkg of 24.